This entry was posted in Software and tagged Code, Programming on October 30, 2013 by Christopher. 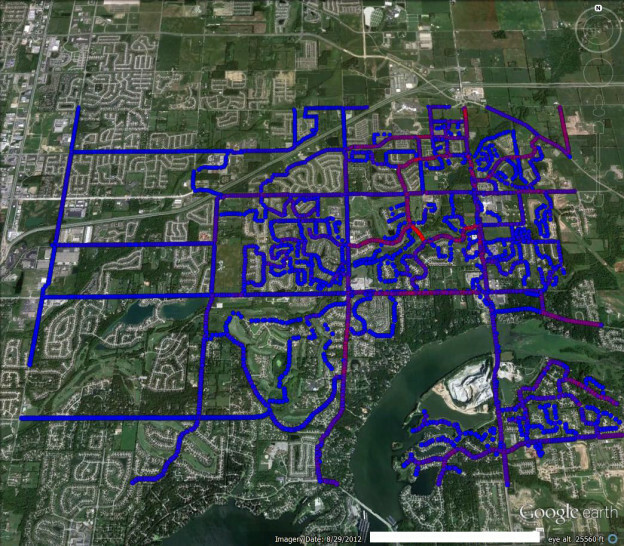 Through riding my bike and running with my GPS, I have collected a lot of GPS tracks in the form of GPX files. Being the data-loving person that I am, I wanted to see where I have ridden and how frequently I have ridden there. When I started this project back in 2011, I was unable to find anything online or offline that would do what I wanted. I have been done with this for a while, but I have not got around to publishing / documenting it until now. This entry was posted in Software and tagged Code, Cycling, GPS, GPX, Programming, Python, Running on January 21, 2013 by admin.